With OrdersIn you can offer cloud based online food ordering systems to local restaurants to feed their hungry customers. You become the local provider of online ordering services in your area. Restaurants and retailers will be able to accept orders online from local customers. You can also offer delivery which is a huge incentive for restaurants and you to triple revenue. This is a high in demand business that offers a consistent and growing recurring monthly revenue stream. This opportunity can be run from home or office as an individual entrepreneur or an add-on to your company’s services. Our logo does not appear anywhere on your site. We don’t take any commissions or percentages. It’s your business and your revenue. Who is OrdersIn ideal for? Entrepreneurs looking to start their own business or franchise with a proven business model, high return on investment and without thousands of dollars in upfront capital. Web design/development companies, delivery companies and B2B companies who offer business services to local businesses (restaurants and retailers). For years OrdersIn franchisees have provided online ordering services to local restaurants and retailers in their local area. We have a database of proven sales best practices gathered from our seasoned successful licensees. We also provide marketing and contract materials, scripts and custom tailored sales training, technical training and best practices training. No experience is needed to get started. 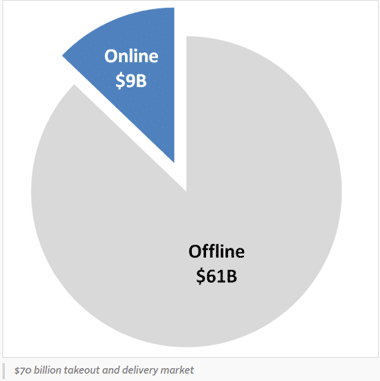 The takeout and delivery market is a $70 billion market, of which only $9 billion (13%) is online. 70% of customers order everything from food to retail products online. This number will continue to grow in the future. In most areas nearly 65% of small to medium sized businesses (restaurants and retailers) do not have online ordering for their business and desperately need this service to stay competitive for the future. For example, most local areas have hundreds of small restaurants which handle high volumes of pickup orders via phone daily. These include Asian, Mexican, Mediterranean, Burger and Pizza restaurants to name a few. These are excellent businesses for your target market. Most small businesses do not have the budget or technical know-how to get online ordering for their business. They need someone in their area to help them get setup and make it cost efficient to accept orders online. This is where you come in. how-it-works-graph2The direction the market is heading clear, and industry experts agree that online orders are expected to surpass offline orders. Now more than ever local businesses need to be online. What if a local business already has online ordering? This is one of the easiest scenarios to sign up a business. These restaurants and retailers already know the benefits of having online ordering so there’s not much convincing to sign them up. They also know the disadvantages of online ordering which include high percentage costs on orders and constant technical issues which are common for most large online ordering companies. These are issues they won’t have with your online ordering service business. What are the benefits of online ordering for a local business? Less Time Spent on Phone Orders. An online ordering menu allows employees to focus on the customers in the restaurant. The restaurant does not need a waiter or hostess to be on the phone to take the order. The order can go straight to the kitchen. The restaurant is able to take more orders with fewer staff. Increased Customer Check vs. Phone Orders. 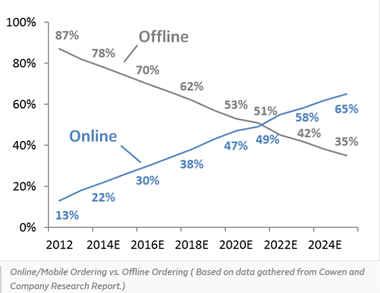 Average checks go up 35% through online ordering vs. phone ordering. Increased Order Accuracy Increases vs. Phone Orders. The customer is able to customize their order without errors in communication between the customer and the person taking the order. Incorrect orders are reduced significantly since customers place their own orders online. Grubhub and Eat24 keep all restaurant’s funds from transactions for 2-4 weeks before taking their cut and sending the remaining funds. Grubhub does not allow restaurant’s to update their own menu. Menu changes can take 2-3 weeks to be updated from date of submission. Grubhub and Eat24 charge anywhere from 13% – 18% per transaction depending on the restaurant’s tier pricing. Grubhub and Eat24 system issues are through the roof. From menu’s being down to dropped orders. Local Search Site Menu helps drive new customers to their business. 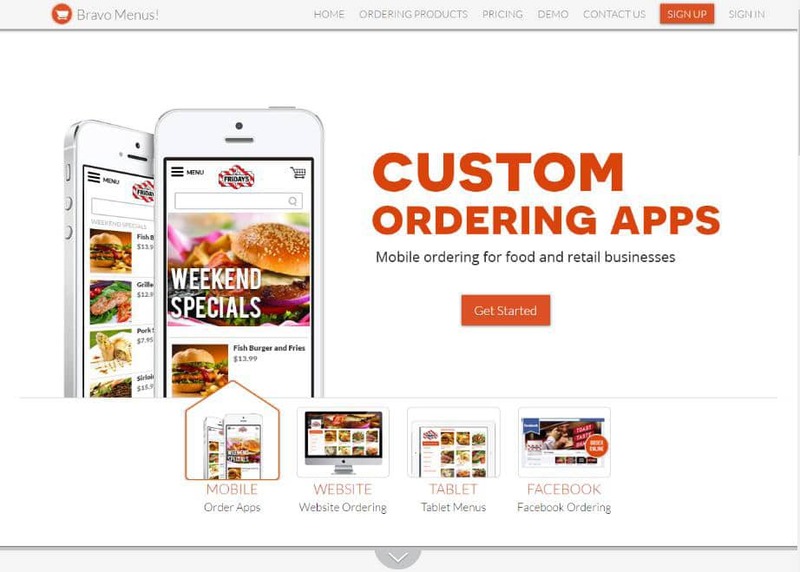 Web Apps Site provides online ordering for their existing business website and customers. They can even offer reservations and create coupon codes. Facebook Menu Site works great for businesses without a website or even expanding their local reach through social media. Instant Funds. All funds from transactions are instantly sent to the local business’s bank. This also goes for the money you receive from the local business. Control. Local businesses have their own logins to maintain their menu. Pricing. Since you don’t have the overhead expenses of a larger multi-national company (large staff, developers, server costs, etc.) you have the flexibility to charge low percentages per order or a flat monthly fee for unlimited orders. On average large online ordering companies charge between 13% – 18% on orders. Small businesses are suffering from these high percentages and need an alternative. Our licensees charge anywhere from 3% – 12%, easily taking away customers from large online ordering companies who cannot compete with this low pricing. Superior System. In a recent national survey of local businesses who use online ordering services, the top 2 complaints local businesses have is 1) percentages charged on orders and 2) technical issues related to their ordering site being down and missed orders. OrdersIn ensures our licensees’ local businesses do not miss any orders due to system issues. Our technical team monitors the system around the clock to ensure system reliability and stability. You’re a local business. Local businesses prefer to work with other local businesses. They want to be able to reach out to someone right away with and even meet face to face with if necessary. They have the security of knowing you can help them get setup and support them in person if needed. They won’t have to call a support number to talk to someone in another country. Local relationships matter to small and medium size local businesses. Flexibility and Customization. Anything you or your local businesses needs customized, from payment processors, functional and design changes, etc. our team can take care of quickly. National online ordering companies are not willing to change their cookie cutter online ordering program and site for individual local businesses. How do I sign up businesses? To find local businesses that don’t have online ordering do a quick Google Maps and Yelp search for “restaurants”. This will show you nearby restaurants and their websites. An email with your business’s information and demo links followed by a phone call introducing yourself to a decision maker is enough to get the interest going. Don’t worry we even provide the scripts. You can also schedule a live demo to go over the features and benefits with the local business owner or manager in person. 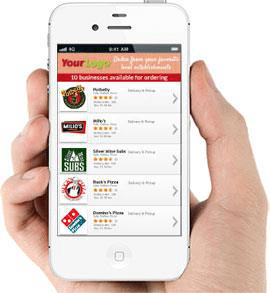 To find local businesses that have online ordering, a quick search through grubhub.com or eat24.com will show restaurants that currently have online ordering in place. Knowing the percentages they are paying (13% – 18%) and offering them a much lower percentage is an easy way to get the discussion started leading to an eventual sign up. Chinese restaurants have statistically shown to do the largest volume of pick up orders in the world. 90% of their business consists of take out. We have an extensive sales and best practices training which goes over these strategies in more detail. How do local businesses get paid? Once an order is placed and the customer’s credit card information is entered, the funds are instantly deposited to the local businesses’ bank account for each transaction. The process is the same if the customer was to swipe their credit card at the physical business location. All financial transactions are handled by our integrated partners Stripe and Paypal credit card processing services. 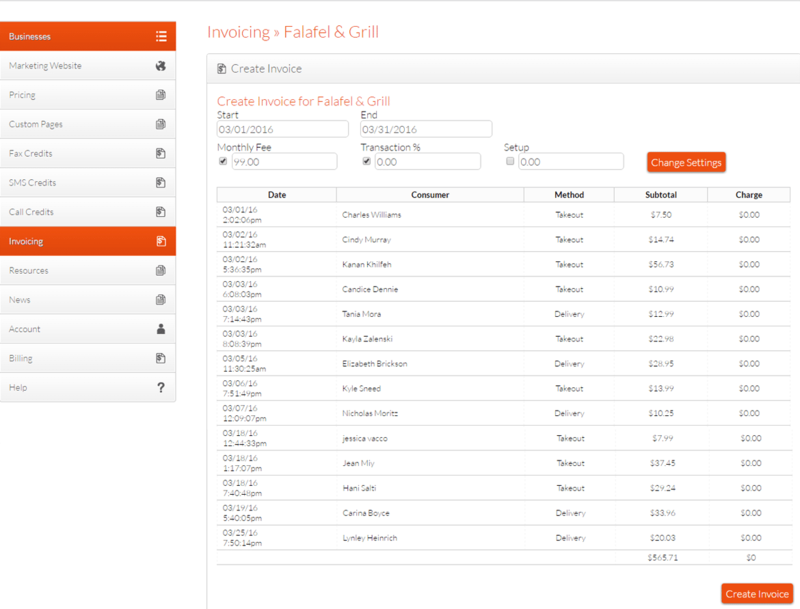 Your Admin Panel has an automated Invoicing system. When you are ready to bill a local business you will simply go to the ‘Invoicing’ area in your Panel and select the local business and time frame to bill them. 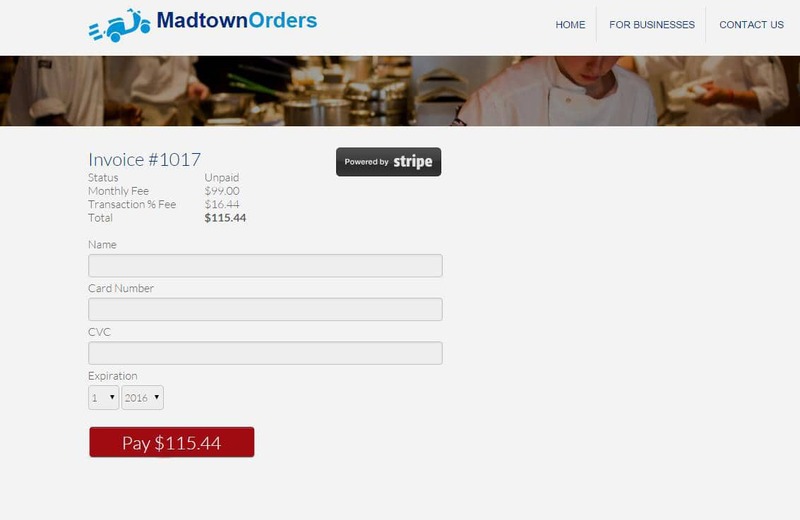 An email with a ‘Pay Now’ link will be generated which connects to a Stripe invoice page which details the amount, services, the service dates, etc. The local business fills in their credit card information and submits the payment. Payments are instantly deposited to your bank account. How should I charge local businesses? How much are licensees making? Licensees average anywhere from $500-5,000/mo to a high end of $12,000-$18,000/mo depending on their effort. Below are breakdowns of actual licensee incomes for popular pricing models. What is included with my licensing fee? 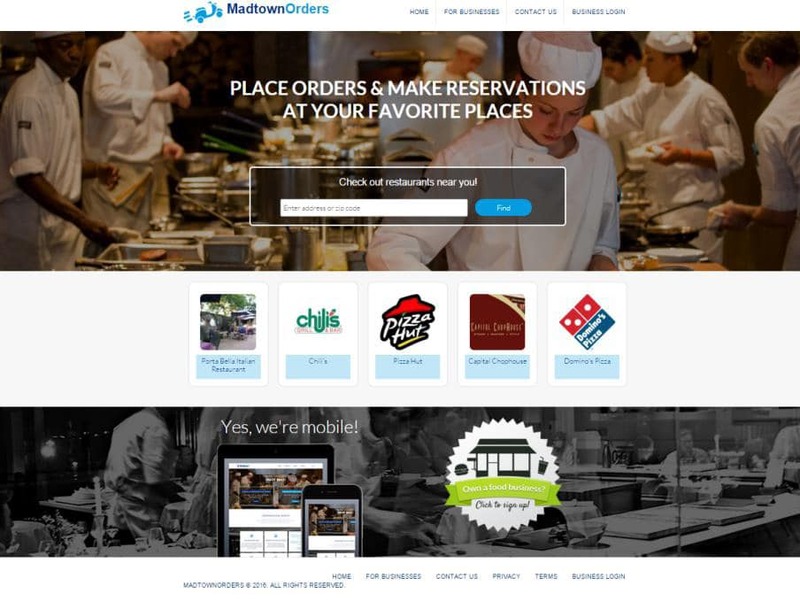 An online ordering search site for local restaurants in your area. 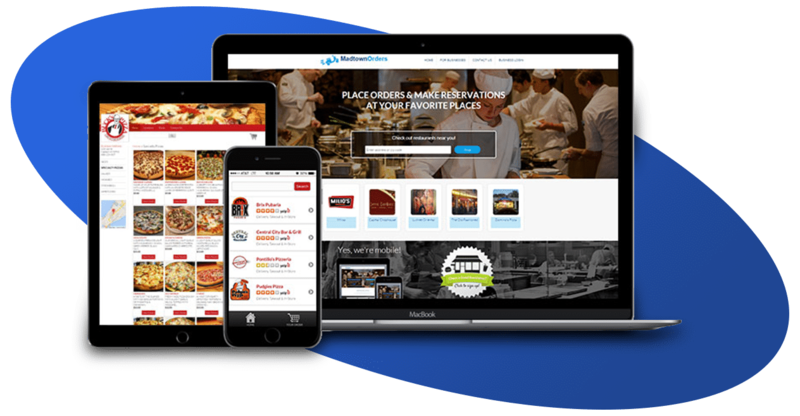 This multi-site restaurant ordering platform allows customers to search for restaurant menus near them by using their location. All customer orders are placed from within your site and domain. You can even charge restaurants to be featured on the front page for additional exposure for them and additional revenue for you. Restaurant’s customers will be able to order for pickup, make reservations and use coupon codes. 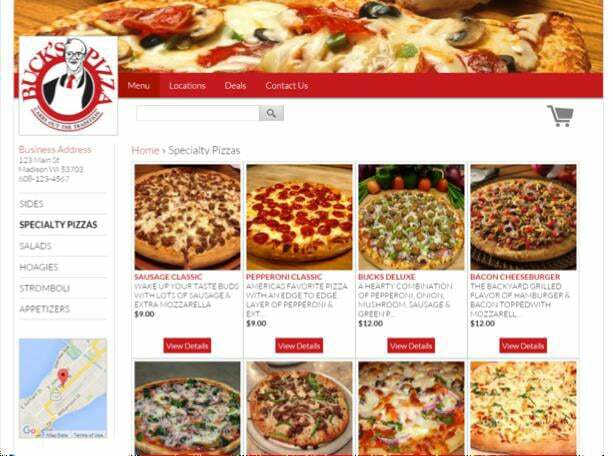 Existing Business Website – Embed or link an online ordering menu in any restaurant or retailer’s existing website. All customer orders are placed from the local business’ website. 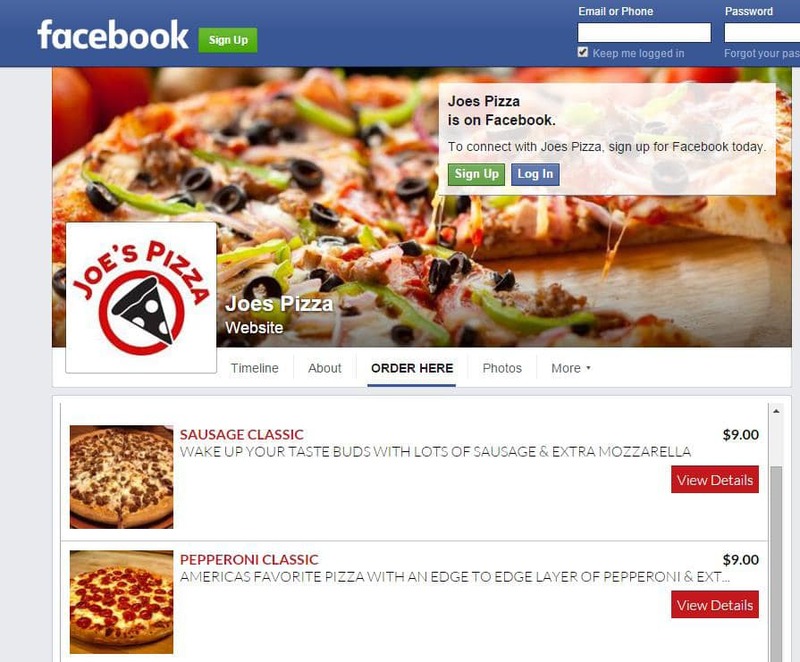 Facebook Fan Site – Embed the online ordering menu in any restaurant or retailer’s existing Facebook site. Even if the business does not have a website they can easily create a Facebook fan site. Also, when a customer does a Google search for any local business, the first result is usually the businesses’ Facebook site. So having this feature is a big plus. The website’s look and feels are customizable for your needs through your Admin Panel. Local businesses can be issued their own login and password to manage their own menus. Everything from order minimums, delivery fees, promotional discount codes and even delivery and pickup zones can be setup from the local businesses’ Business Panel. Don’t worry about paying to get your own website created to advertise your business. We include that with your package. Everything from information on your business services, slide shows, pricing, contact form and even an interactive demo. How do local businesses receive orders? Once an order is placed the restaurant or retailer receives it immediately. Local businesses can receive orders via email, the Orders Dashboard from their business panel, HP e-printer, or fax. They can also receive order notifications from text messages and automated phone calls. Do I need to be involved full time? No, some licensees have hired commissioned sales people in their area. Ideally, a setup fee or percentage of the income can be given to the sales person.